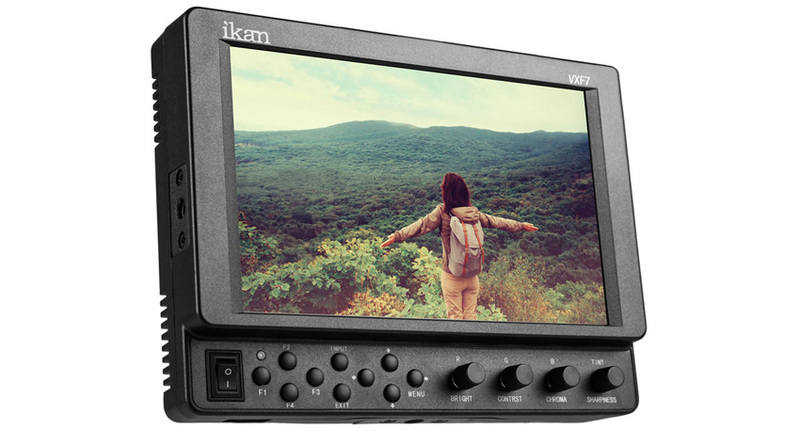 The leading manufacturer of affordable filmmaking gear for both studio and field productions Ikan has just officially confirmed that its complete lineup of 4K compatible on-camera monitors, the VL35, DH5e, and the VXF7 is now available to purchase. First showed off at this year’s NAB conference in Las Vegas, the three units range from 3.5 to 7 inches and support more pixels, a better resolution along with loads of industry standard features. 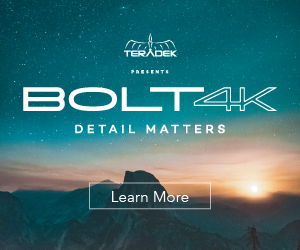 According to Ikan’s Product Manager Dariel Resendez, with such a complete line of 4K monitors, Ikan is once again leading the industry and bringing affordable, high-quality production tools to filmmakers around the globe, and with reason. 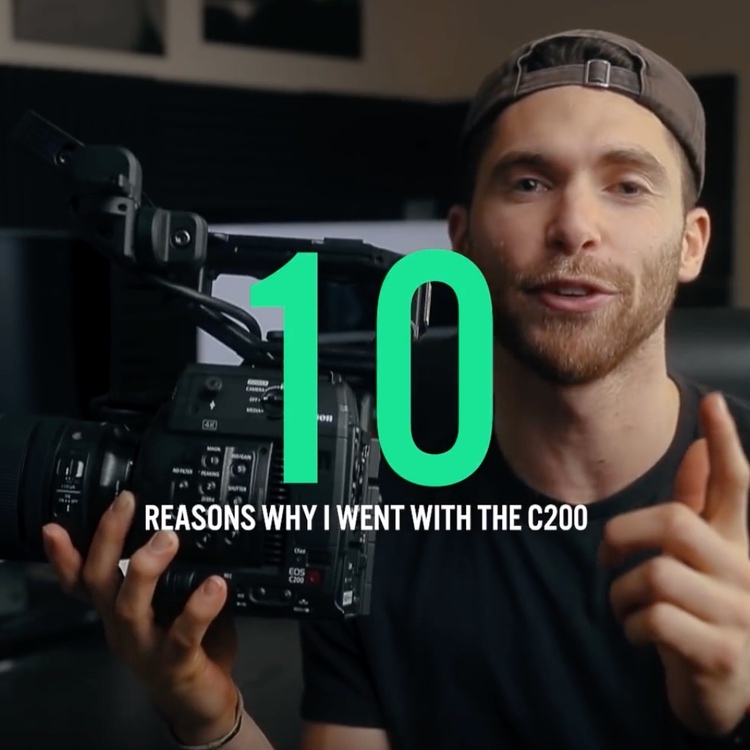 With a retail price of just $250, the entry-level VL35 is an excellent compact on-camera field monitor that is small and lightweight, supports 4K resolution and its powered by a Canon E6 battery (a battery plate is included in the kit). 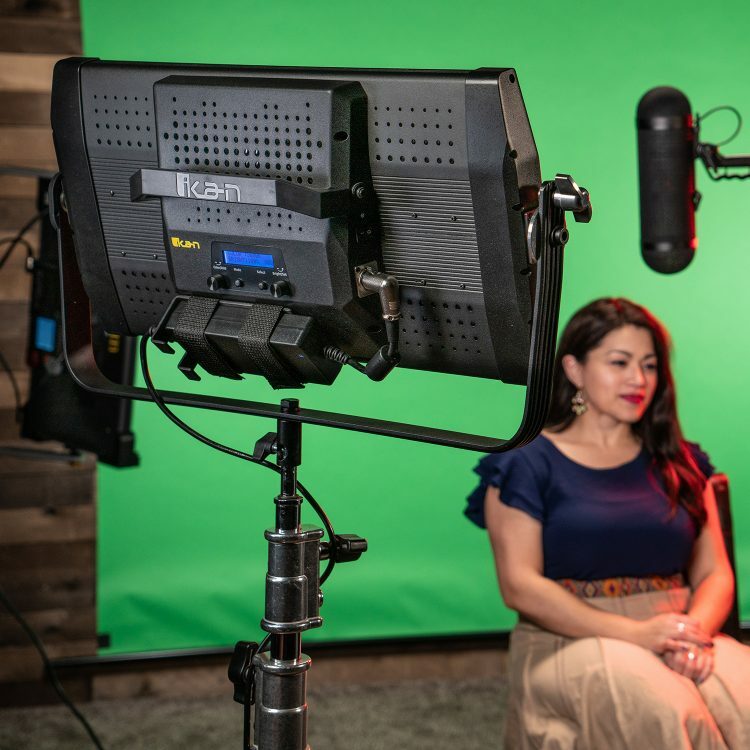 The unit also provides standard software features such as false color and histogram to get the perfect exposure, peaking for focus assist, pixel-to-pixel, frame guides, and much more. With a 3.5” screen, the VL35 is the perfect fit for those filmmakers who tend to work in tight spaces while carrying compact and lightweight gear kit. The monitor pairs well with the Blackmagic Design Micro Cinema camera, GoPro, or other action cameras and hand-held gimbals. 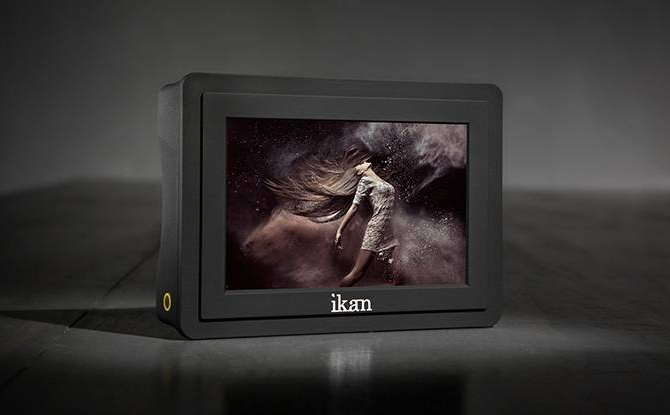 Being the successor of the popular DH5 monitor, Ikan also releases the DH5e, a 5” field monitor that boasts a full HD panel with 1920×1080 pixels and DCI 4K support. The DH5e has touchscreen capabilities, allowing you to pinch to zoom and easily adjust options on the menu. Besides the expected software features such as false color, peaking, zooming, guides, as well as histogram and audio meters, the DH5e also provides image flip so that you can adjust the monitor according to your needs. You’ll also find both Canon E6 and Sony L Battery plates along with a sunvisor, sunhood, screen protector, screen wipe, and a USB drive for software updates all included in the kit. 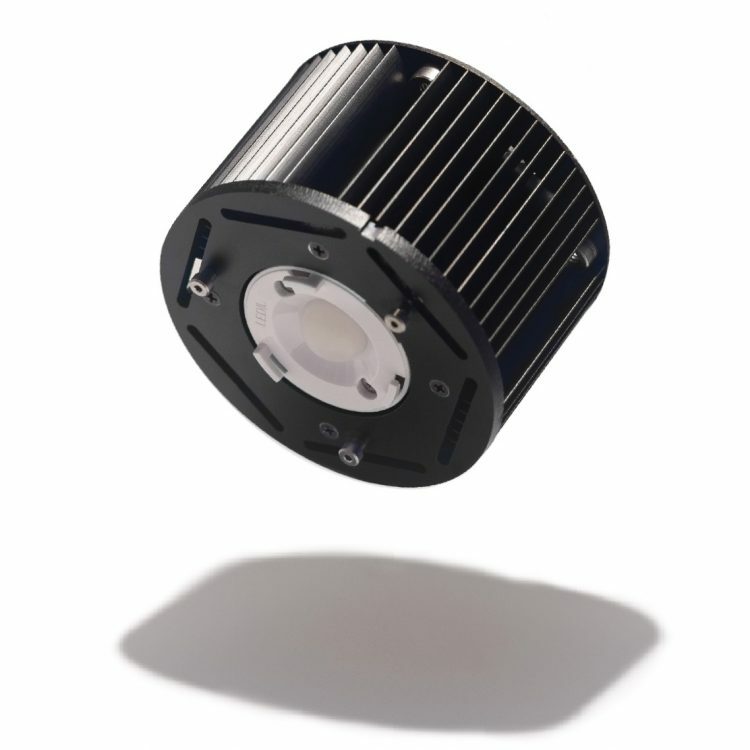 Moreover, users can adjust and fine-tune the DH5e LED backlight intensity and color temperature to varying conditions. 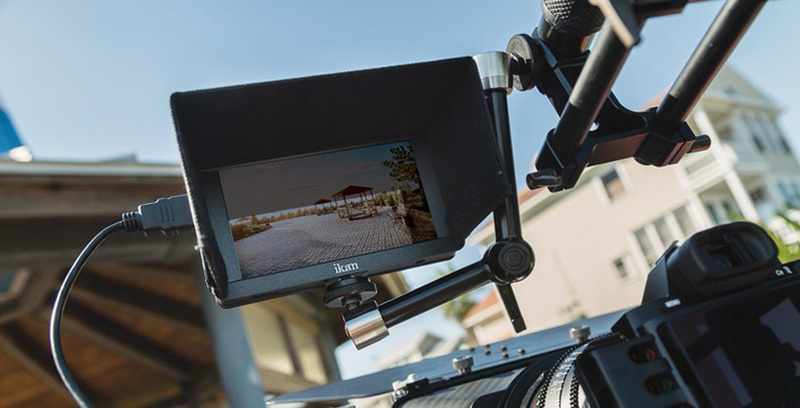 Just like its predecessor the Ikan DH5, this on-camera monitor is a perfect solution for gimbal operators or anyone using 4K cameras such as the Sony A7S II or the Panasonic GH4. The VXF7 is the latest update to the VX series, and it’s the biggest field monitor regarding size and form factor in this particular lineup. Being a more conventional production monitor, it features 7” full-HD plus IPS panel (1920×1200 pixels), DCI 4K support, and an SDI to HDMI converter. The unit also sports easy to access knobs, professional BNC connectors, and a four-pin XLR power connector. The Ikan VXF7 can handle 4K signals from the most popular 4K cameras featuring multiple inputs and outputs including composite, component, 3G-SDI and HDMI ports. The VXF7 supports both the UHD 3840 x 2160 and DCI-compliant 4K 4096 x 2160 pixel resolutions. To allow users to nail down focus with such high resolutions, the unit comes with the Pixel-to-Pixel mapping feature, which provides a 1:1 pixel representation of the 4K image coming through the camera lens thus ensuring everything stays in sharp focus. This on-camera monitor works well with cameras such as the Sony FS5, Sony FS7, Canon C300 Mark II and more. The built-in quality and industry standard features implemented in the unit makes the VXF7 monitor the ideal workhorse for any production environment, just like the rest of its siblings on that list.